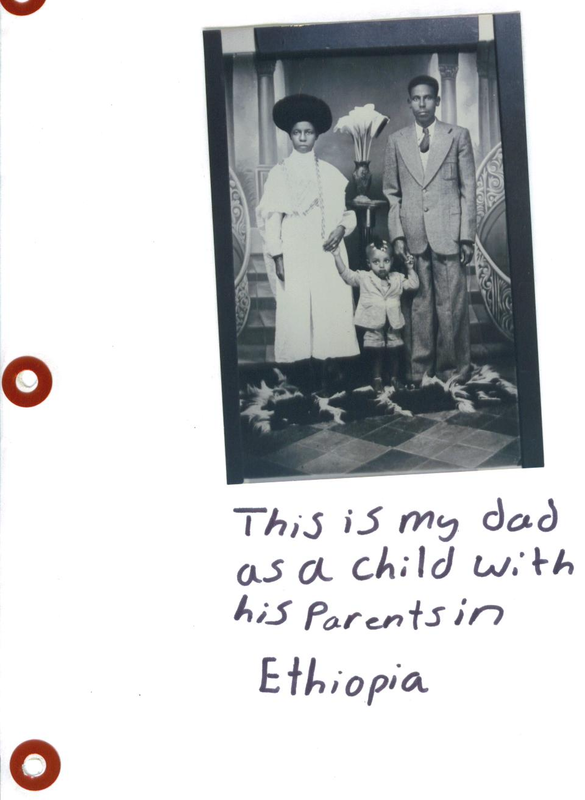 In April 2006, as Donna Sillan was passing by the Mill Valley Peet’s Coffee shop for her daily fix of coffee, she was introduced to an Ethiopian man named Tsegaye Bekele, by a mutual friend. Donna had just returned a week earlier from Ethiopia, where she assisted her friends, Tracy and John Novick, adopt two orphans. Tsegaye asked where the children were from, and Donna told him the Sidama Region. He inquired further and found out that, in fact, the children were from his same small hometown of Aleta Wondo! Tsegaye hadn’t met anyone from Aleta Wondo before in Marin County where he lived for the past 35 years. Donna introduced him to her new godchildren that very day, Batri (6 years old girl) and Eyasue (7 years old boy). It is no coincidence that the coffee that Peet’s was featuring that month was called “Ethiopian Supernatural,” a coffee from the Sidama region. The newly adopted Novick children loved meeting Tsegaye and seeing photos from Aleta Wondo, where Tsegaye had travelled to three years earlier for the first time back since he left the country to study. When he was there, he witnessed the tremendous needs of his people, and reconnected with family members, friends and the community of his childhood. He felt compelled to return to help the village that raised him. Donna, after 27 years in international health development, working for the big NGOs in 35 countries, was ready to start a development program on her own. She wanted to set roots in one community and take the best practices from all the NGOs she worked for and start her own NGO. Since she was now a proud godmother of two Ethiopian children, she decided that she would like to work in their town, to help make the village more self-reliant and viable for its children. Tsegaye and Donna had a convergence of visions regarding their desire to help the community of Aleta Wondo, reached upon independently. They decided to conduct a feasibility study in April 2007 to see what would unfold. They met with children, community leaders, religious leaders, village elders, school faculty of the local primary school, coffee farmers, and women in the town, all of whom gave their blessings and commitment to work together. They visited officials of the government, starting from the town’s Mayor, to the Governor of the Southern States, to the President of Ethiopia, accompanied by the Parliamentary representative of Aleta Wondo. Each level of government encouraged Tsegaye and Donna to implement a community development program. They received letters of support and obtained the necessary documents to begin. During their time in Aleta Wondo, they were able to find Batri and Eyasue’s extended family, which was an exchange of wonderment and excitement for their family. The program vision was truly formed from the grassroots up. Each focus group discussion concluded that their top priority was EDUCATION. As education is highly valued by everyone, it was clear that they would first focus on education. The second priority was HEALTH. The third priority was LIVELIHOODS and working with the coffee farmers who represent 99% of the town’s enterprise. They knew they would start by building a new school for out-of-school orphaned and vulnerable children, as well as supporting the existing primary school. The health component was formed on the basis of a large preventive health education component. The livelihoods intervention was designed to help the community through the empowerment of coffee growers so that coffee farmers can afford to send their children to school and get health care. The program plan includes micro-finance for women and renovating the downtown hotel into a mall for small scale enterprise. A sustainable, integrated community development program evolved from the needs of the community. Thanks to the inspiration of two orphans who landed in Mill Valley, California, and who provided a direct personal link to Aleta Wondo, the program was conceived. 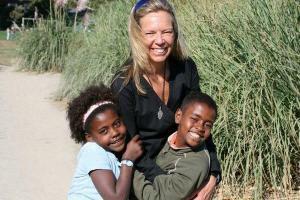 Aleta Wondo remarkably resembles Mill Valley, which is why Tsegaye chose to live there for over three decades. It is the same population of 14,000 and has quite similar topography, vegetation and weather. Tsegaye was able to reclaim his property in Aleta Wondo from the government and has donated it to Common River. Common River is situated on 20 acres of arable land on the edge of town surrounded by coffee plantations. Tsegaye’s parents were the pioneers and founders of Aleta Wondo and provided many jobs through business creation. The community members remember their goodwill and are most surprised to see one of their long lost sons return. He became enabled to continue his parent’s legacy, a humanitarian dream to develop their community that began back in the 1940s. When Donna asked Congressman Shamana, from Aleta Wondo, how he knew Tsegaye after a long day together he replied, “Oh, Donna, we come from the same river.” It explained the connection perfectly and became the namesake of the NGO. We all come from the same river and it started its flow from Ethiopia, the birthplace of mankind as well as coffee!